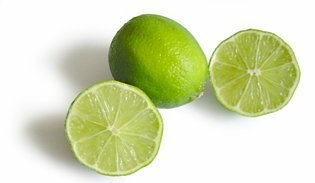 Comments and Question: The lime is a miracle fruit. This is why you will never see an infomercial about limes! I used to dread winter every year, the cold. Flu would get me every year. This year, I tried something else. For eight weeks I have been drinking lime water at least twice a day with green tea. I feel great and haven't had the flu (yet!). I can also relate to not being bloated, feel more energetic, etc. Other thoughts - I haven't been able to shift around 8 kilos (17 pounds) that I have been carrying around for a while. Nothing I do has worked. I read about the alkalizing and detoxifying nature of lime water and something about the body holding onto fat cells because it stores toxic wastes in those cells. I hope lime water will play its part in getting me there. I would dearly like to know what WBH views are on this. WBH Answer: Like lemon water, lime water is an excellent natural anti-bacterial, anti-fungal and anti-viral beverage. Thus, drinking a glass of lime water or lemon water every day is going to improve overall health for most people. Drinking plenty of water daily to stay hydrated can definitely assist in losing weight. When you add lemon or lime to the water, it does increase the detoxification effect and also helps to alkalize the body. Will drinking lime water alone help you to lose weight? It is hard to say because there are so many factors involved in weight loss. For example, if you are drinking lime juice for alkalinity but then eating excess animal protein and highly processed foods, drinking sodas and alcohol, and not managing a high-stress lifestyle -- the alkalizing effects of the lime juice may not be enough to counteract all these other acidifying factors that also contribute to weight gain. I highly recommend that you consider my simple weight loss program, outlined in Losing Weight with Lemon Water. My recommendations for lemon water are the same for lime water. You might also enjoy reading Benefits of Limes and Lemons, which lists some of the similarities and differences in these two “miracle fruits” as you say.